(CNN) - Down by double digits in the most recent polling, California's Republican gubernatorial challenger took his campaign to the streets. 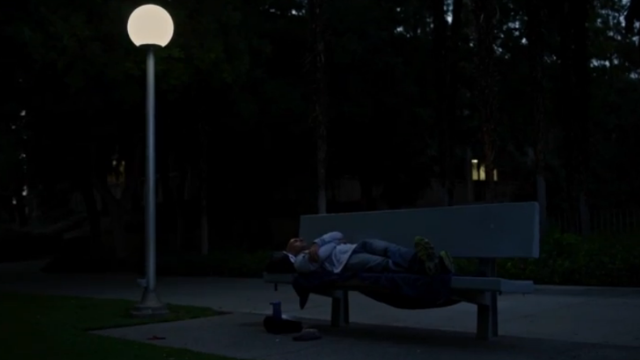 Neel Kashkari announced Thursday that he recently spent a week living as a homeless person in Fresno, California, to highlight poverty in the Golden State. Kashkari's campaign released a 10-minute long video that chronicles the candidate's week long unsuccessful search for a job. (CNN) – A day and a half after a shooting rampage in California left six victims dead, Sen. Richard Blumenthal said Sunday the tragedy serves as a reminder of the legislative efforts to stem gun violence that occurred in the aftermath of the 2012 Sandy Hook shooting. The Democrat from Connecticut, appearing on CBS’s "Face the Nation," said statements from the California victims' families bring the nation back to "when it seemed like we were on the verge of, potentially, legislation that would stop the madness and end the insanity." 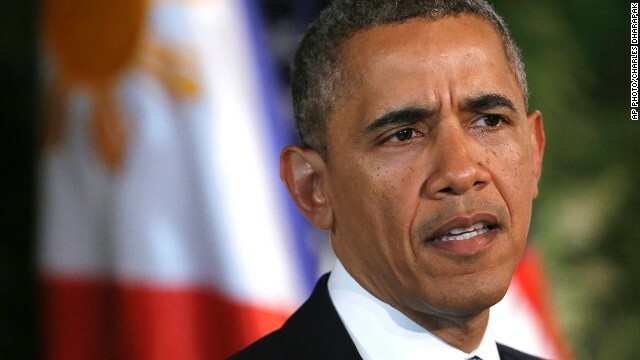 (CNN) - President Barack Obama once again lamented the limits of his power on the world stage, expressing regret in a speech Wednesday night that he was unable to stop recent atrocities against children in Nigeria and Syria. "I have this remarkable title right now - President of the United States - and yet every day when I wake up, and I think about young girls in Nigeria or children caught up in the conflict in Syria - when there are times in which I want to reach out and save those kids, having to think through what levers, what power do we have at any given moment" Obama said in a speech at the University of Southern California Shoah Foundation's gala in Los Angeles. 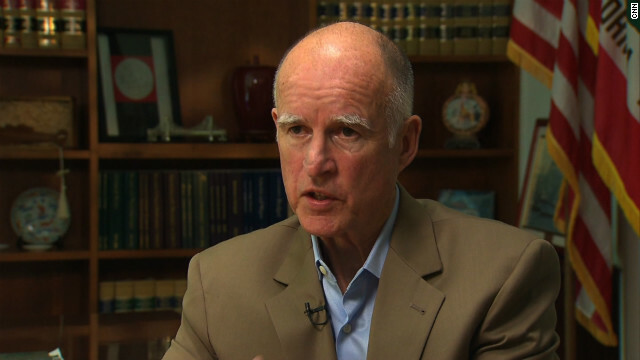 (CNN) - Call it a belated birthday gift for Jerry Brown. 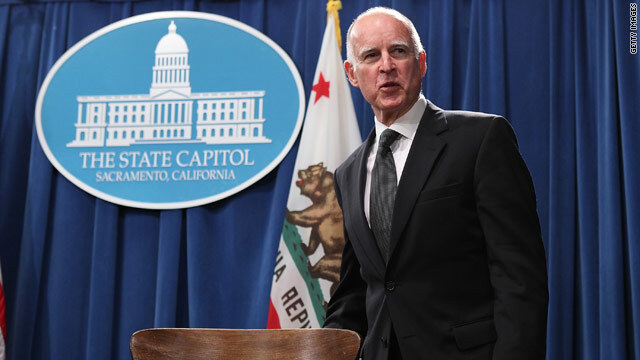 A new poll in California indicates that the Golden State governor's approval rating is soaring and that he's far ahead of his Republican challengers as he runs this year for an unprecedented fourth term in office. The Wednesday release of the Field Poll comes two days after Brown turned 76. Neel Kashkari has wiped social issues from the agenda, a political necessity on the culturally liberal Pacific Coast. Why is this man running for governor of California? 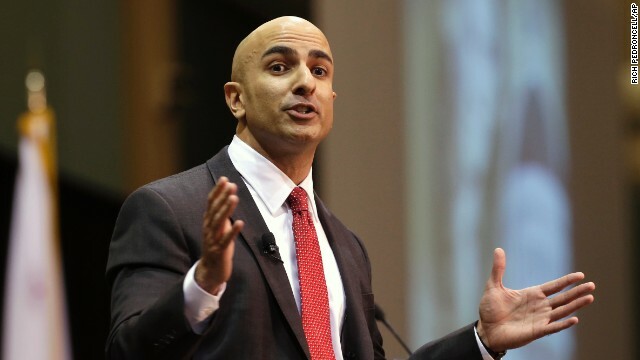 (CNN) - In late 2012, when Neel Kashkari first pondered the idea of running for governor of California, one of the first people he sought out for advice was another Republican who once faced long odds in a big state gubernatorial bid: George W. Bush. Bush was an underdog when he tried to unseat Texas Gov. Ann Richards in 1994, and he ended up winning in that year's GOP landslide. 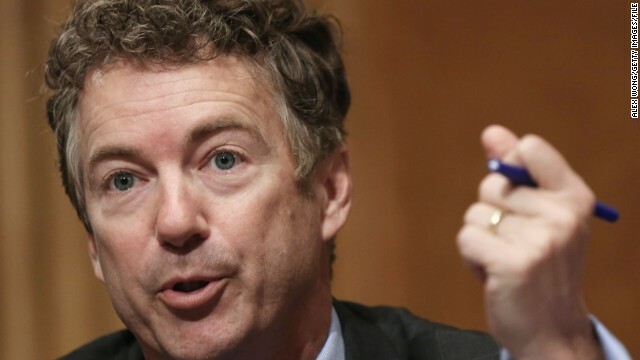 (CNN) - Sen. Rand Paul, who's become known for venturing into unfamiliar territory for Republicans, spoke Wednesday at the liberal hotbed of the University of California at Berkeley. The Kentucky Republican castigated President Barack Obama for his continued support of the National Security Agency's phone metadata collection, saying the President should know better in part because of his race. 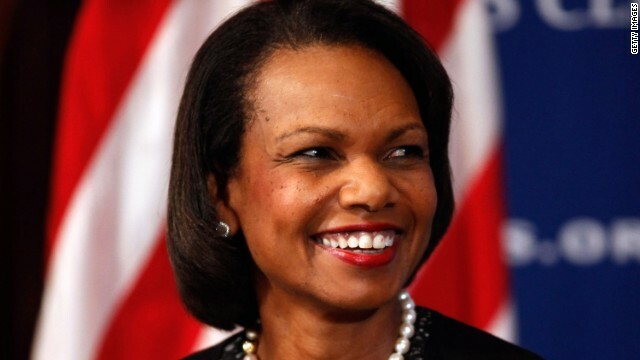 (CNN) – Former Secretary of State Condoleezza Rice spoke at the annual California Republicans convention Saturday as the party faces an uphill battle in a state that has turned more and more blue. Some speculated Rice would run in the Republican presidential primaries in 2008, but she wasn't interested. She left George W. Bush's White House in 2009 and returned to Stanford University in Palo Alto, California, as a political science professor. As a featured speaker at the California Republican Party luncheon in Burlingame, Rice touched on many issues central to the Republican’s party’s future – from economic inequality and education, to foreign policy and military strength. 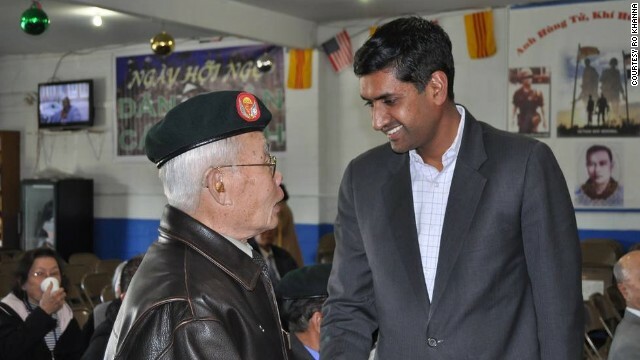 Ro Khanna is an evangelist for the thriving tech economy based in Silicon Valley and the favorite son of its wealthiest visionaries. Can Silicon Valley disrupt the Democratic Party? Cupertino, California (CNN) - Ro Khanna wants a show of hands. "How many of you have heard of LinkedIn?" The 37-year-old Indian-American Democrat, the darling of Silicon Valley's tech elite and a vehicle for their budding engagement with Washington, is addressing a cafeteria full of advanced placement government students at Cupertino High School. Most of them are Indian or Asian-American, the sons and daughters of the programmers and tech company employees who populate this neatly manicured California town where Apple is based. 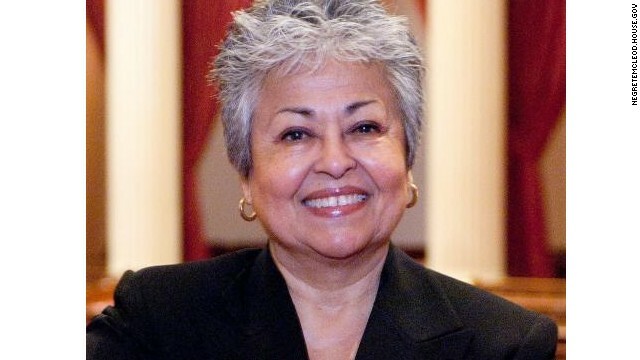 Washington (CNN) – Two years is enough for Democratic Rep. Gloria Negrete McLeod, who announced Tuesday that she will retire from her California congressional seat at the end of her first term in office. McLeod – who was sworn in just over a year ago in January 2013 – said she will instead run for San Bernardino County supervisor.